We have a cook on site and the nursery provides a healthy, nutritious diet to all the children including breakfast, snacks, lunch and tea. Fresh, local, seasonal produce are used when available. The menu is vegetarian, but also includes fish. 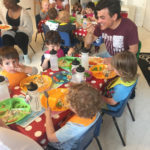 All menus are approved by a dietician from the Hackney Learning Trust, who works closely with us on all aspects of the children’s food and nutrition to ensure we provide a healthy, balanced diet. Our Menu rotates fortnightly and is reviewed 2 – 3 times a year. 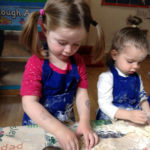 The nursery was awarded a certificate of excellence from The Children’s Food Trust ‘Eat Better, Start Better’ programme, showing our commitment to helping children eat well, meeting the national school food standards and helping children make healthy choice. 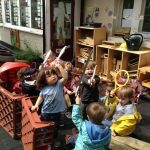 At Rosemary Works EYC our curriculum is mostly delivered through ‘In the moment planning’ where ‘teachable moments’ are discovered through the child’s play. 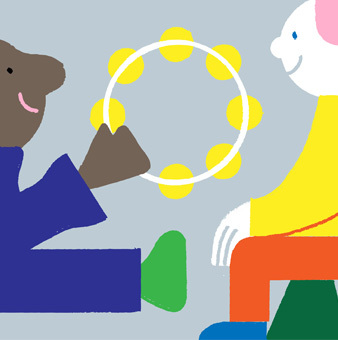 This unique way of planning allows us to develop each child at their own individual pace, working with their interests.